Every year as the NBA regular season comes to a conclusion, the sports world indulges in endless debate on who will take home each NBA award, with the MVP trophy being the most discussed of the bunch. These debates and predictions are perhaps the most entertaining discussions of the whole season, so why not get the dialogue started early? We haven’t seen a single minute of meaningful basketball yet this season, but that’s not stopping me from giving my best educated guesses on each award. Let’s hope these predictions don’t look too dumb come the end of the season. This year is shaping up to be one of the most intriguing ROTY races in recent memory with candidates such as the most polarizing rookie since Lebron James, Lonzo Ball, and the always exciting, Dennis Smith Jr. Not to mention other potential stars like Malik Monk, De’aaron Fox and Josh Jackson. 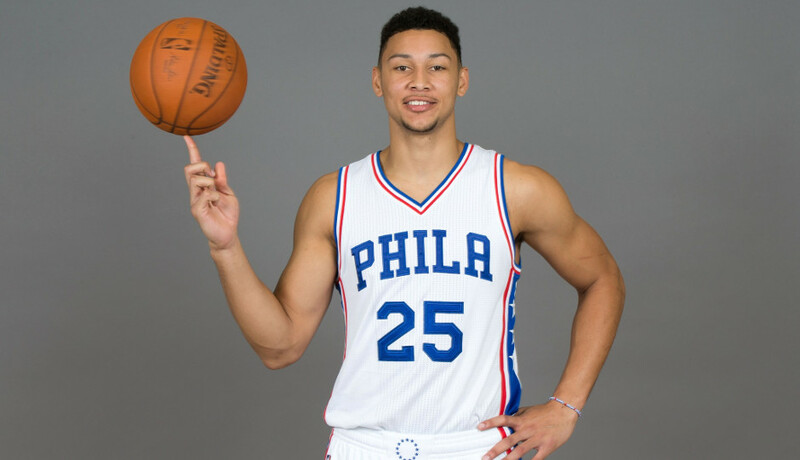 The pool is deep, but there is one candidate that sticks out head and shoulders above the rest, (quite literally as it has been reported he has grown from 6’10” to just below 7 feet since he was drafted), 76ers point forward Ben Simmons. It’s easy to forget amid the Lonzo Ball hype, but just a year ago Simmons was supposed to be the next NBA super star before he was forced to sit out his entire first year in the league with a broken foot. Simmons immediately regained the national spotlight after the first two 76ers preseason games when he reminded NBA fans just why he was so highly touted coming out of college. To put it simply, the man is a generational talent. To be nearly 7 feet tall and have the ball handling ability and passing vision that Simmons possesses is a rare skill set. Missing that first year will only help Simmons going forward as he has had extra time to develop his game mentally and physically. The only thing holding Simmons back from being a dominant player in the league is his lack of a developed jump shot, or really lack of a jump shot at all, as his is pretty awful. That shouldn’t hinder Simmons from running away with the award, though. He’ll have all the opportunity in the world being the star of a team that is likely to make the playoffs, seeing as the eastern conference is so top heavy. Expect Simmons to average a solid 18 PPG, 9 APG, and about 7 RPG as he leads Philadelphia to a 40 win season. MIP is perhaps the most difficult award to predict, as you are really just guessing which player will make the leap from being just decent, to being a high-level starter. With this being said, the player in the best situation to make this leap has to be Lakers budding-star, Brandon Ingram. Last year was a very up and down season for Ingram. His season started very poor, as many rookie seasons do, but as the year continued and Ingram began to gain more confidence in his game, you began to see flashes of what made this player such a high profile prospect. If Ingram’s play in the summer league is any indication of how his season will go, he is in line to have a monster season playing beside Lonzo Ball. I expect Ingram to average around 21 PPG, 4 APG, and 6 RPG as he becomes the focal point of the Lakers’ offense in year two. I almost don’t want to pick him as it’s the easy choice, but the answer to this is clear. Gregg Popovich is arguably the greatest coach ever and has a great chance to bolster his resume this year with a fourth coach of the year award. The NBA, western conference specifically, now has a multitude of super teams with multiple star players. If you look at any power rankings the top six teams will all be of this caliber, besides the Spurs, who are pretty much a lock to be in any analyst of your choice’s top five teams. Why is it that a team trotting out with their single star player Kawhi Leonard, the skeleton of what used to be Lamarcus Aldridge and a bunch of role players expected to compete with the likes of Cleveland, Golden state and OKC? The answer is simple: Pop. If Popovich can take that roster to a top three seed, as he seemingly always does, while competing in the most stacked western conference we’ve ever seen, it will be solely because of his legendary system, and he will likely take home yet another coach of the year award. This award is another one that proves itself difficult to predict as it will probably end up being a name we won’t expect, since traditional names that typically come up in the conversation, like Lou Williams and Jamal Crawford, likely won’t be receiving the award this year. Picking the 2017 winner Eric Gordon to repeat is a cop out so I am going to go with the bench player that is in, by far, the best position to succeed: Derrick Rose. While it is clear that Rose no longer has what it takes to be an efficient, high level starter, he is still probably the best backup point guard in the league. When Isaiah Thomas returns from injury, Rose will be bumped down to this backup role as he commands the Cavalier’s second unit. Rose still possesses the ability to attack the rim at a high level. So with the Cavaliers surrounding him with shooters such as J.R. Smith, Kyle Korver, Richard Jefferson, and Channing Frye to space the floor, along with Tristan Thompson to grab rebounds and run the pick and roll with Rose, he is in the perfect scenario to succeed as the talent around him compliments his skill set extremely well. On top of his perfect fit, with Rose having to start in the place of the injured Isaiah Thomas for the first half of the year, his stats will likely be boosted in comparison to his competition, which will go a long way to winning him the award. I expect rose to average a solid 16 PPG, 4 APG, and 3 RPG. This one’s very simple, there’s pretty much zero reason not to pick Kawhi. The NBA MVP is the most intriguing award race in sports, with the only comparable rival being the Heisman Trophy. With that being said, expect this year to be as riveting as always, as we’re in for a great MVP race. There are a handful of very worthy players I could choose to come out on top, but perhaps none are more poised to win the award than Kyrie Irving. The common narrative with Irving has been that he can’t do anything besides score, since that’s kind of all he’s done, but the more that I have thought about it, I no longer agree with that notion. Before Lebron James returned to town, Irving was a young, developing scorer on a putrid team, so of course he wasn’t going to put up good assist numbers. Once Lebron returned, Irving immediately became the sidekick to the King. Lebron James is one of the greatest floor facilitators of all time, so it only makes sense that he be the one to carry the playmaking load, and Irving be the one to simply go out and do what he does best: get buckets. It’s not that Irving doesn’t possess the ability to be a high assist playmaker, it’s that he hasn’t had to the past three seasons. Irving has recently made it clear during his appearance on ESPN’s show First Take that his entire reason for leaving the Cavs was to play the role of a true point guard, indicating that he wants to put up more assists as he makes the players around him better, opposed to the role he had in Cleveland, which was essentially that of a shooting guard. Another common critique of Irving is his lack of effort on defense – key word being effort. It is not that he lacks the ability to play defense, as some might think, it’s just that he simply does not try MOST of the time. I say most because we have seen Irving play very adequate defense when he is needed to, especially in the finals when he was tasked to guard Steph Curry. It really comes down to Irving deciding to put in the effort, but it almost doesn’t even matter as many of the players who have been in the MVP conversation as of late such as Russell Westbrook, James Harden and Kevin Durant don’t try at all on defense, and Steph Curry is just straight up a bad defender. With all that being said, Irving is now in the position he decided he wanted to be in the moment he requested a trade: the leader of his own team in Boston. I fully expect Kyrie Irving to prove all of his doubters wrong this season as he puts up 27.5 PPG, 9.5 APG, and 4 RPG, while leading the Boston Celtics to 56 wins and the first seed in the East, as Cleveland will likely do what they did last year and value rest over seeding. Kyrie Irving isn’t the only player I think has a chance to win the award, most years the MVP comes down to two candidates who are just as worthy to win the trophy as the other, and the voters have to pick which of the two they prefer based on what they value more in their MVP. We saw this last season as the race was neck and neck between Russell Westbrook and James Harden, with voters deciding they valued the 2 RPG that Westbrook had over Harden opposed to the 8 extra wins Harden brought his team. 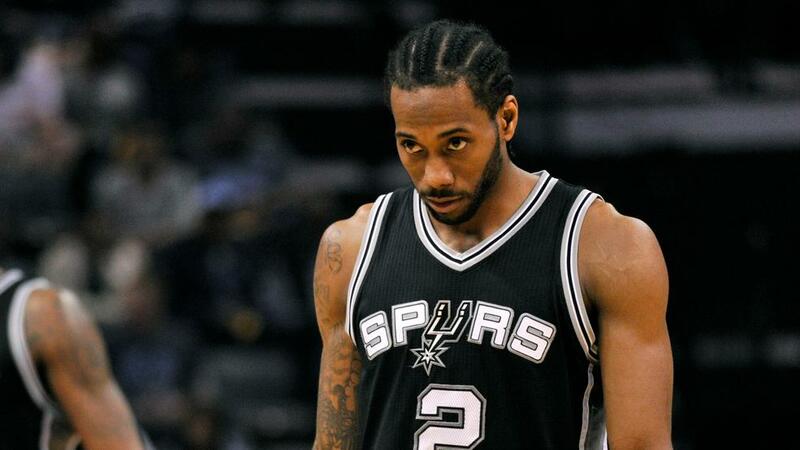 Kawhi Leonard will be this year’s James Harden. The case for Leonard is the same as why Gregg Popovich may win coach of the year. Leonard is the lone star on his team in a league where most of the other stars have teamed up with each other. If the Spurs are to be a top team in the west, Leonard will have to have an amazing season and not miss any time with injury. As apparent with my coach of the year pick, I fully expect this to happen, which should place Leonard firmly in the conversation for MVP, where it will be a toss up with Kyrie Irving, with Irving just barely edging him out and winning his first MVP. Posted in Sports and tagged awards, basketball, Ben Simmons, Brandon Ingram, Derrick Rose, Gregg Popovich, kawhi leonard, kyrie irving, MVP, NBA. Bookmark.